This new partnership is set to expand business owners’ presence in the digital space. The advent of the digital revolution has not only changed the way individuals consume content and entertainment but also the way entrepreneurs run their business. It has become imperative for small and medium enterprises (SMEs) to expand their presence and reach in the digital space with consumers’ burgeoning shift to a more digitally-connected lifestyle. 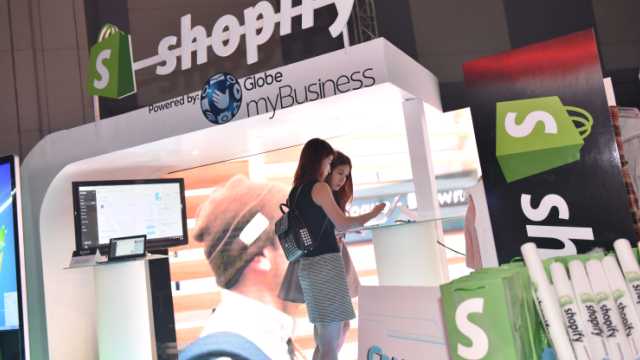 This is why Globe myBusiness, the small and medium enterprise (SME) arm of Globe Telecom, forged a partnership with internationally-renowned e-commerce platform Shopify. As the trusted business partner of SMEs, Globe myBusiness now gives business owners an accessible and affordable portfolio of solutions that lets them reach more customers through this partnership. Founded in 2006, Shopify currently powers over 175,000 businesses in approximately 150 countries. It is a cloud-based, multichannel commerce platform designed for small- and medium-sized businesses. Merchants can use it to design, set-up, and manage their stores across multiple sales channels, including Web, mobile, social media such as Pinterest and Facebook, brick-and-mortar locations, and pop-up shops. The platform also provides merchants with a powerful back-office and a single view of their business. Today, there are a growing number of aspiring young entrepreneurs who maximize various free platforms to showcase their products. Online sellers prefer these free sites because of their limited funds for operations, but it may not be the easiest and most efficient way to manage their operations especially if they have work during weekdays. With Globe myBusiness and Shopify, every Filipino entrepreneur can now have a platform where they can showcase their own brand. Shopify makes it easy for anyone to build and manage their online store by providing features like the ability to design the storefront, manage inventory, track orders and customer data, view marketing and analytics information, and much more. “Being with entrepreneurs every step of the way has always been part of our mission at Globe myBusiness. The looming digital age requires us to offer innovative business solutions to SMEs so that we can help them run their operations smoothly and more efficiently. With Shopify, we continue to make our customers’ digital journey easier with an e-commerce platform complete with end-to-end operations support and accessible payment gateway, logistics, advertising, and marketing services. 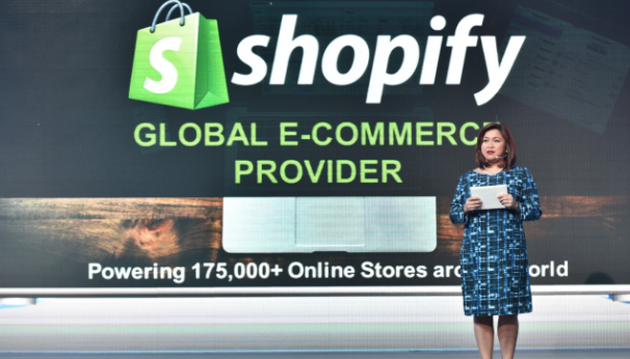 We are excited to be partnering with Shopify to shape and redefine the future of retail in the Philippines,” says Martha Sazon, senior vice president for Globe myBusiness. Through Globe myBusiness, SMEs can avail of Shopify starting at P429 a month. To know more about Globe myBusiness and their latest portfolio of digital solutions, visit its Website or call its dedicated hotlines at (02) 730-1010 in Metro Manila and Luzon, (032) 401-1010 in Visayas and (082) 321-1010 in Mindanao.